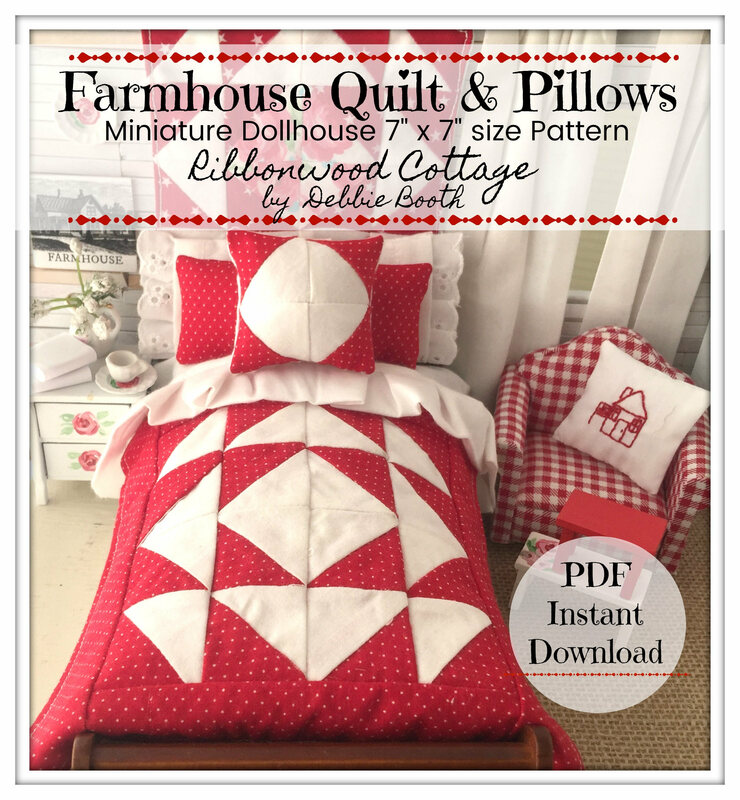 Pattern Farmhouse Quilt and Pillow PDF Digital Download - Dollhouse Miniature Size 7" x 7"
I don't know about you but I love red and white quilts. 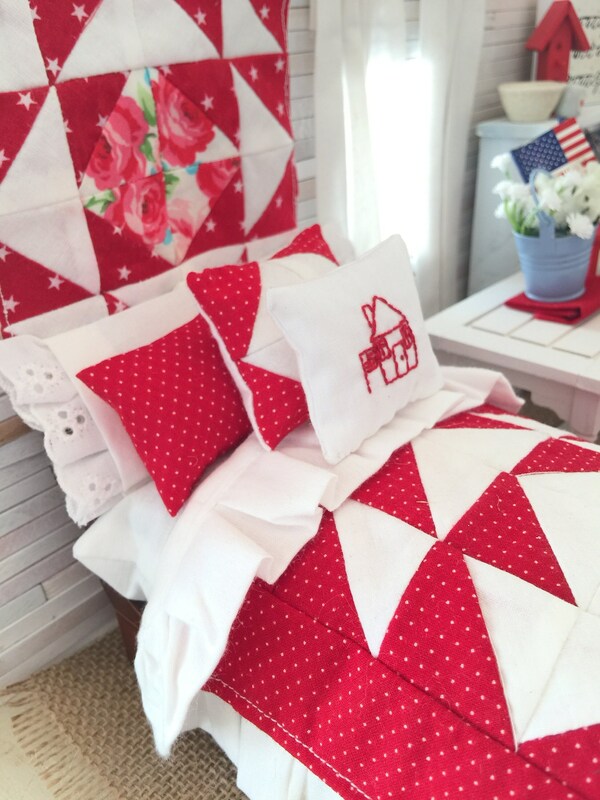 I love Farmhouse style quilts with lots of layers and pillows! While this little quilt is small at 7" x 7" it has big impact. I've made several and hung for Farmhouse decor on a little clothesline with little clothespins to make a banner to hang in my home! This quilt will be in a winter issue of a Miniature Dollhouse Magazine. Also the small stitchery pillow pattern in the second picture is now on my blog as a free pattern. Be sure to come by and get it! This pattern shows my tips and shortcuts for making a simple quilt. 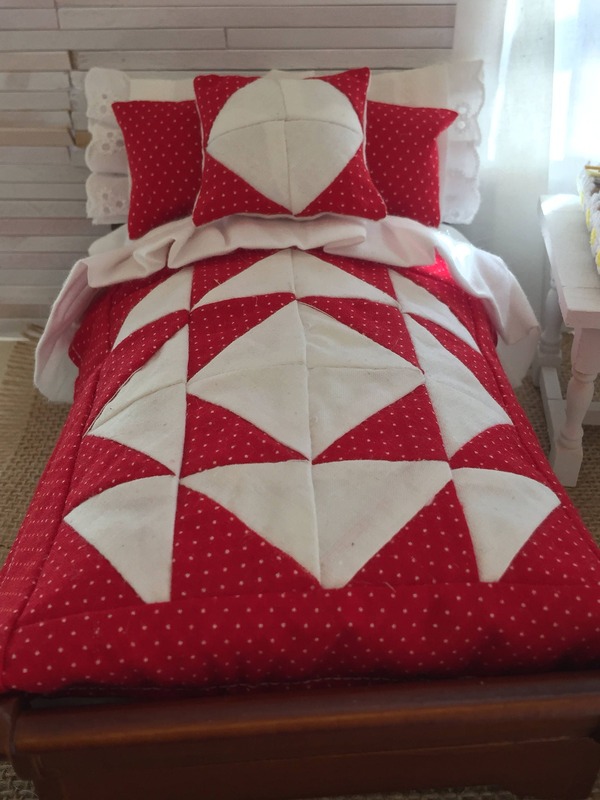 Looks difficult, but you won't believe how easy this little quilt is to make. 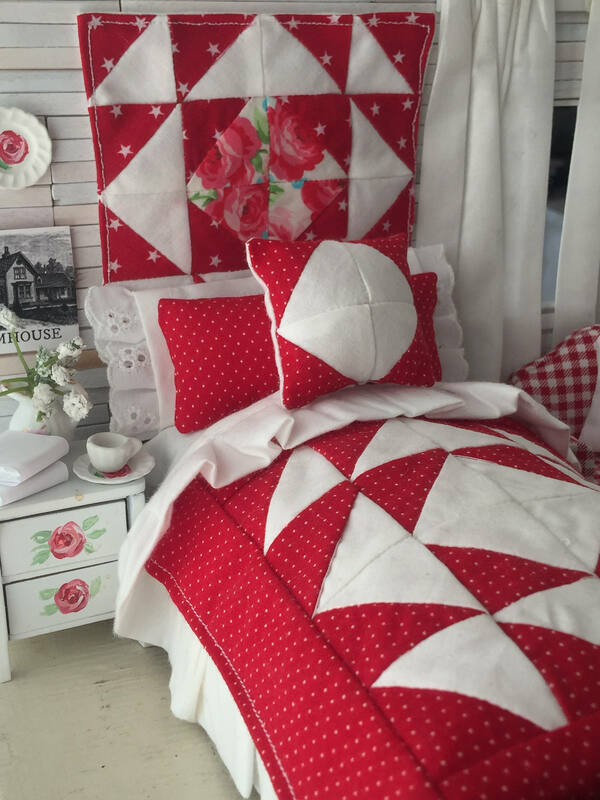 Photos and step by step instructions will lead even a beginner in putting this quilt and matching pillow together. Once you figure out my shortcut and technique you'll want to make several like I did! 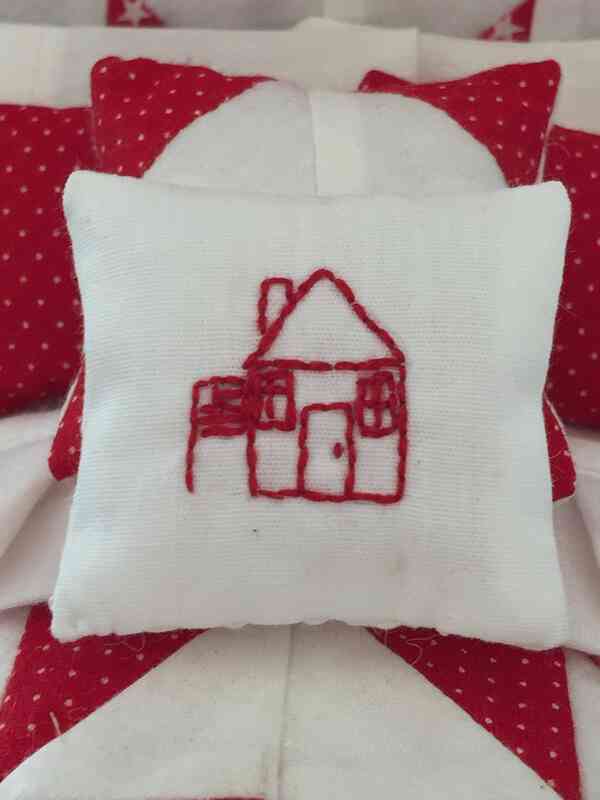 This is part of my ongoing Farmhouse series for dollhouses, beds, little quilts and lovely and delightful little things! This is a downloadable file, which upon payment will be accessible by you to download and even print out if you desire. Nothing physical is being mailed or sent to you. Great, easy to follow patterns for miniature items.